We offer complete package solutions for chemical distillation plant/distillation design/distillation tailoring using all-component analysis, process simulation, and a process automation package. Moreover, we also provide corresponding chemical sewage treatment solutions to satisfy the customers. 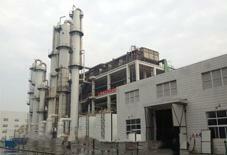 Chemical distillation plant/distillation design is our core competitiveness, we have engineering experiences in phenolic distillation plant, methanol-DMC distillation plant, coarse methanol distillation plant, fusil oil distillation plant, mixed aromatic distillation plant, light hydrocarbon distillation plant, acetate distillation plant (incl. 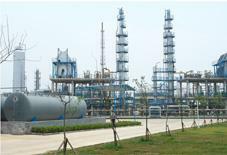 methyl acetate, ethyl acetate, butyl-acetate and amyl-acetate) methylal distillation plant and dilute formalin enrichment plant. We have been cooperating with Tianjin University to establish a joint distillation engineering technology research center, which is mainly specialized in advanced distillation technologies, process control and troubleshooting. Our Chief Engineer Dr Zhu has PHD degree in both chemical process simulation and chemical process equipment design, and is the inventor of distillation design in several chemicals. 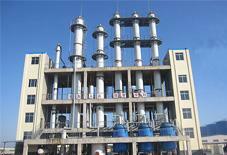 Especially , his invention in reactive distillation process to produce methyl and pressure swing distillation process to manufacture high purity methylal has achieved great success in China. We use Aspen Plus, Pro/II, ChemCAD and ECSS to provide our customers the reaction process simulation, process flow system simulation, distillation column design, economic assessment, optimize the design of existing plants and etc. We supply both structured packing and random packing. The structured packing mainly incl. Zupak packing featured in saving material and increasing specific area, Dapak packing featured in low pressure drop, high flux and good axial gas permeability, Chaopak packing featured in higher flux and lower pressure drop compared to orifice corrugated packing, metallic perforated & corrugated packing, metallic corrugated wire gauze packing, metal protruded corrugated packing and etc. While the random packing mainly incl. reinforced metallic IMTP( Intalox Metal Tower Packing), metallic PRPP (pall ring), cascade ring packing and etc. Our distillation column internals mainly include liquid distributor, re-distributor, liquid collector, inlet gas distributor and etc. We have successfully applied this multi-effect distillation technology in methylal-methanol separation, solvent recovery, fusil oil separation and etc. At present, we have cooperated with Shannxi Blower to jointly develop the heat pump assisted distillation technology and explore the relating business. Thermally Coupled Distillation saves a condenser and a re-boiler, and increases the thermal efficiency in the separation, thereby energy consumption is saved. The representatives of the thermally coupled distillation are Petlyuk distillation and dividing wall distillation (DWC). We have successfully applied these thermally coupled distillation in crude naphthalene separation, gasified phenolic separation, cresol separation, fusil oil separation C9/C10 separation and etc.